This commercial building is turn-key ready with all units leased out with long term leases that generate around $10,000 per month. Home of the Alaska State Troopers post and a Dentist office. The building was gutted & completely updated in 2006-2007. The rear 2 story building could be finished for additional rental income. See Supplement tab for more information.The Building in the rear can be used as a warehouse, shop or turned into additional retail/office space. This second building is 1296 Square feet with two stories which can be finished out to a total of 2592 Square feet. The Lower level is a daylight basement style. This building was constructed in 1978 and then moved east, away from the main building and onto a new Quad lock foundation with the pre-existing slab still in place along the front of where the building sits now. This allows for expansion in the future if desired. The old foundation would be under the new parking area in front of the building. The LEASES: The troopers/State are renewed on a 10 Year lease at 3 of those years under term & the remaining 7 thereafter on 1 year extensions. The Dentist office is on a 5 year lease. 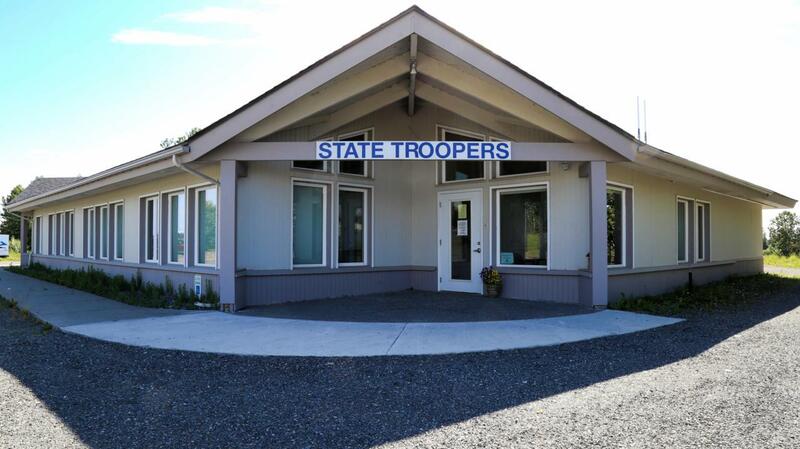 The Trooper portion is leased at $2.20/square foot per month & the Dentist office is at $1.77/square foot per month. The Troopers lease 3381 Square feet & the Dentist leases 1494 Square feet. The Additional building in the back that can total 2592 square feet is unused at this time. The Troopers are allowed 19 exclusive parking spaces & the Dentist is allowed Offices 1 & 2 Spaces for exclusive use. With both buildings, the excellent highway frontage & both units already leased out, you couldn't ask for a better turn-key opportunity! This building has a new roof and & siding treatment in 2015 with the rest of the building renovated in 2006-2007 making this a beautiful & clean building. The building is also up to the standards of the State which offers you peace of mind knowing you are getting a quality building. See the Documents under that Tab for all necessary information regarding this property in detail including floor plans.